‘When I grow up I’m going to be a doctor’ said the little girl. All her cousins looked at her, some gasped. One aunt said ‘A girls place is at her husband’s home. You will grow up to be a good wife’. Keeping her father’s words in mind, the little girl studied hard and secured admission to a medical university. Word spread across her family and all the elders came to tell the girl’s father that he had broken the family traditions by allowing his daughter to enter college and that she was now doing the unthinkable. 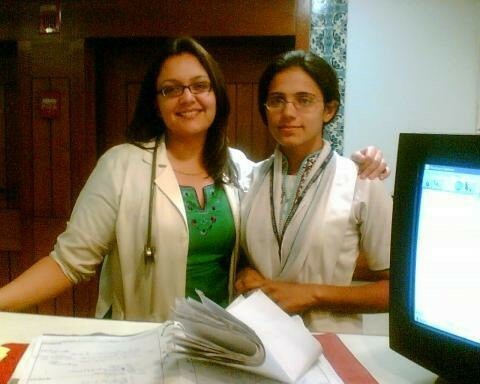 The girl was me, Beenish Hanif Khan and I recently completed my PhD at the Health eResearch Centre (HeRC). I belong to Quetta, a city in the most underdeveloped province of Pakistan (Balochistan). During the time at my medical university, I saw gross health inequalities especially regarding the access and provision of healthcare for women. Official statistics on the extent of these inequalities were scarce. I wondered how effective interventions could be implemented if there was a limited evidence base. It was during this time that my interest in research grew and what eventually led me to HeRC and The University of Manchester. I remember the day I sat with Prof. Iain Buchan and he wrote the word ‘health inequalities’ (HI) on the white board. This was a topic I was extremely passionate about and I jumped at the opportunity to conduct my research in this area. I remember thinking that the UK is a welfare state with the National Health Services (NHS) free at the point of use, how can this be much of an issue here? I was WRONG. There were vast amounts of policy documents and research papers on the topic. The more I read, the more I realised the complexity of the subject and the extent of health inequalities in the UK. Going through the piles of papers, I was surprised to see the complexities in defining, explaining and identifying interventions to reduce health inequalities in the UK. I took upon a challenging topic focusing on quality of care and the role of GP commissioners in improving care. My thesis aimed to develop performance indicators – based on electronic health records and developed in collaboration with clinicians – and apply them in the context of identifying missed opportunities and reducing health inequalities. In my research missed opportunities were defined as an occurrence where a patient is seen by a GP but not screened for the associated risk factors and managed as per the National Institute for Health and Care Excellent (NICE) guidelines for the primary and secondary prevention of Myocardial Infarctions (MI) or heart attacks. I studied four risk factors: blood pressure, cholesterol, smoking and obesity. The presence of an integrated dataset across primary and secondary care provided me with a unique opportunity to study the real life journey of patients before and after a heart attack. There are a number of significant findings in my study (much of which I am hoping will be published in 2016) however, one key piece of evidence that I was able to unlock from the data was a difference in the standard of care for primary prevention of a heart attack compared to secondary prevention under the management of a GP. Patients in my study were found to receive suboptimal preventative care, although care improved significantly after a heart attack. This was despite evidence that 80% of heart attacks are preventable with adequate risk factor identification and management. I have now completed my PhD and I graduate next month. It is an exciting day for me and I have a huge sense of achievement, having been the first girl in my family to drive a car, the first to become a medical doctor and now the first to have a PhD. For some people these things may seem ordinary but for me these are things that girls in my part of the world could have only dreamt of at that time. My mother and my in-laws will all be present at my graduation; however there will be one notable absence…My father, Muhammad Hanif Khan, who has passed away. Today, I can proudly say that “Dad, I have fulfilled half of my promise by completing my medical education and getting a PhD. The other half…I am certain I will.” Watch this space. The Health eResearch Centre (HeRC) is delivering large scale, population wide health research by harnessing the power of information and technology.